No drugs or alcohol are permitted on the premises. No smoking is permitted anywhere in the Club. No panhandling, gambling, loitering, or sleeping is permitted in the Club. Abusive language or other disruptive behavior is prohibited at all times. Profanity is discouraged in order to promote a respectful environment. No Weapons, guns, knives, fighting, threatening or intimidating behavior, vandalism, or criminal or illegal activity is permitted in the Club. Any violation of the law is considered to be a violation of the Club rules and our Mission. No overtly sexual conduct is permitted in the Club. No animals or pets of any kind, except service animals, are allowed in the Club. No bicycles are allowed in the Club. All children must be supervised by a parent or custodial adult. Personal belongings may not be left anywhere in the Club. The Club will not be held responsible for the loss of any property in the Club. 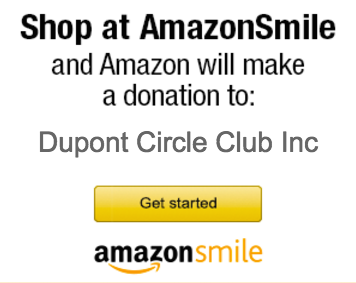 It is the Dupont Circle Club’s Mission to provide a clean, safe, and respectful environment for our Members and guests to recover through Twelve Step fellowships. The Manager, a Board Member, or an on-duty Assistant Manager or Monitor has the authority, at his discretion, to enforce these Rules and may require an individual to leave the Club at any time should they deem it necessary. The Manager or any Board Member may immediately and unilaterally ban an individual from using Club facilities for up to three months. Any ban longer than three months must be approved by the Dupont Circle Club board of directors. Meeting with the Board of Directors, at the Board’s convenience and discretion, and receive the Boards approval for reinstatement.